A press release issued on Saturday by the Citizenship by Investment Unit (CIU) in St Kitts and Nevis announcing a drastic 50 percent cut in the investment requirement for its citizenship by investment (CBI) program, ostensibly to create a “hurricane relief fund”, has drawn widespread condemnation, including one CBI consultant who described the move as shameful. “This is a truly shameful move by St Kitts,” said Mahdi Mohammed, CEO of Guide Consultants. “This is simply a ploy, a blatantly opportunistic move to improve the competitiveness of the St Kitts and Nevis CBI program at the expense of their Caribbean neighbours,” he continued. “What offends me more than anything is that St Kitts and Nevis is fully operational, having escaped any major damage from the two recent hurricanes, whereas having been in Dominica during Hurricane Maria I have witnessed firsthand the complete and total devastation of the island, with its people wandering amidst the ruins of their lives trying to find the basic necessities to survive – food, water and shelter. It truly resembles a scene from an apocalypse movie,” Mohammed said. “Dominica is not a wealthy country but following Hurricane Irma it was willing to share what it had with other Caribbean islands, for example by sending water and telegraph poles, two commodities that it is now in desperate need of itself. It even pledged EC$500,000 to St Kitts and Nevis after Irma,” he noted. “Now Dominica has lost every source of government revenue except its CBI program and St Kitts and Nevis is attempting to undermine even that,” Mohammed said. He noted that the tourism, communications and transportation infrastructure in St Kitts is back to normal. Dominica, on the other hand, has suffered billions of dollars of damage. 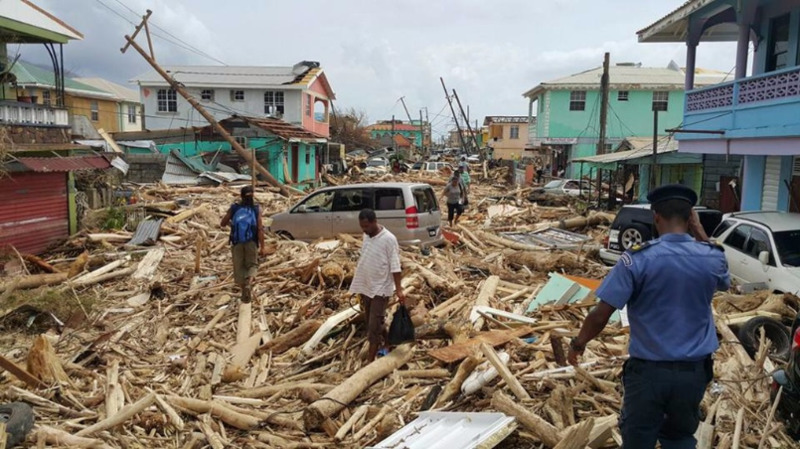 These sentiments were echoed by Dr Denzil Douglas, leader of the opposition in St Kitts and Nevis, in a statement late Saturday night, describing the government’s action as unconscionable, unfriendly, selfish, uncaring and reprehensible, and aimed at undermining the efforts of Dominica and Antigua and Barbuda to recover from the massive devastation caused by Hurricanes Maria and Irma. “Today, September 23, 2017, the government of St Kitts and Nevis led by Dr Timothy Harris has sunk to the lowest low in a manner that is most unconscionable and calculated to undermine the desperate recovery efforts that are underway in Dominica and Antigua and Barbuda to restore those countries’ operations and the lives of their citizens to a state of normalcy as quickly as possible,” Douglas said. He noted that, in making the case for this, Harris reported that two category 5 hurricanes have made landfall in St Kitts and Nevis causing phenomenal devastation to homes, businesses and key infrastructure in the country. “While it must be said with certainty that our country has in fact experienced two hurricanes recently, why our prime minister would want to mislead the entire world as to the directness of the impact of these hurricanes and the extent of the damage caused is truly beyond me. “If indeed St Kitts and Nevis has suffered the phenomenal devastation of which the prime minister speaks, what shall we say of Dominica and Barbuda? 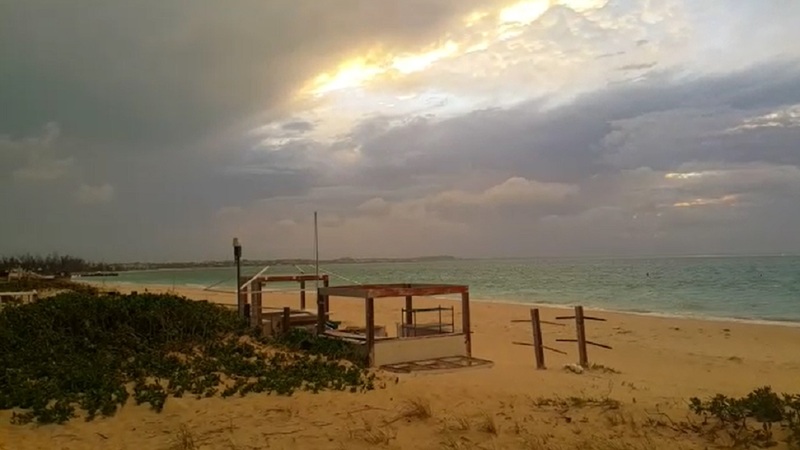 In the case of Barbuda, that island has been completely vacated resulting in a three percent immediate increase in the population of Antigua with phenomenal stress brought to bear on the social services in that country,” Douglas said, pointing out that it has been estimated that the rebuilding exercise in Barbuda will cost $2.5 billion. “As to Dominica, what can one say in response to the horror that was left in the wake of Hurricane Maria? The situation on the ground is truly unimaginable. The extensive loss of life and the catastrophic damage to homes, businesses, industries and public infrastructure are truly phenomenal and abhorrent. Although no estimates have yet been posited by the government of Dominica, it is safe to say that the damage will be assessed to be several billion United States dollars. That is truly phenomenal,” said former Prime Minister Douglas. “This dishonest and extremely selfish conduct on the part the prime minister can do nothing but serve to woefully undermine confidence of the international community in any information coming from official sources in our country. This, dear citizens and residents is emphatically abhorrent and reminds me of the story of the little boy who cried wolf. 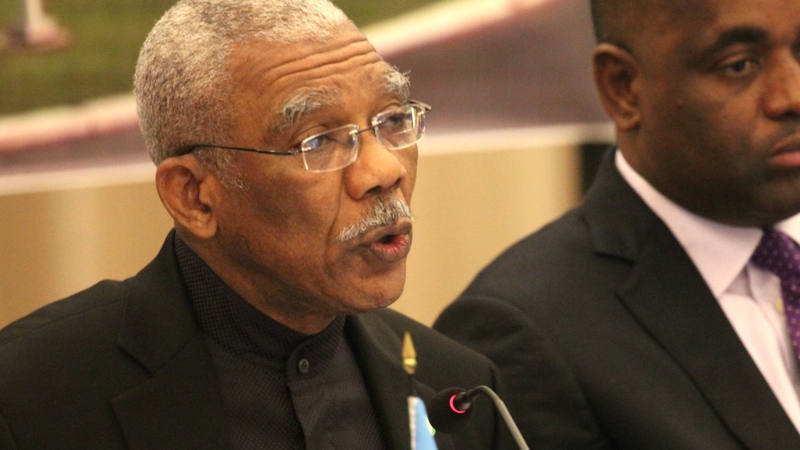 “But as if that were not enough, to add insult to the injury of both Antigua and Barbuda and Dominica, Prime Minister Harris, as revealed in the press release of September 23, has decided to undercut and undermine the desperate recovery efforts of these two countries… This, fellow citizens and residents, is what many people in the region and beyond who have seen the press release have called unconscionable, unfriendly, selfish, uncaring and reprehensible. This is a blatantly opportunistic move by Dr Harris,” Douglas said. He further pointed out that when Dominica learnt of the situation in St Kitts and Nevis after Hurricane Irma, Prime Minister Roosevelt Skerritt along with other OECS leaders visited the country to provide moral support and did, in fact, offer monetary assistance to the government of St Kitts and Nevis. “That is what we would expect from our Caribbean brothers and sisters in an hour of distress. The level to which Prime Minister Harris has stooped is beneath the very office he holds and frankly is shameful and disgraceful and is an insult to all the support we have received from our sister countries in times of natural disaster. Dr Harris is repulsively self-serving, self-centred and indifferent,” Douglas said. “Fellow citizens and residents, let us remember the people of Dominica, Anguilla, Barbuda, St Maarten, St Martin, the British Virgin Islands, the United States Virgin Islands and other territories that have suffered catastrophic damage as a result of recent hurricanes. My heart goes out particularly to Dominica who only two years ago suffered similar horrific damage in the wake of Tropical Storm Ericka and whose recovery efforts were still underway when another terrible disaster struck a few days ago. The least Prime Minister Harris could have done was to offer some support and not so callously undercut Dominica’s and Antigua and Barbuda’s own CBI programmes,” Douglas said to the nation. 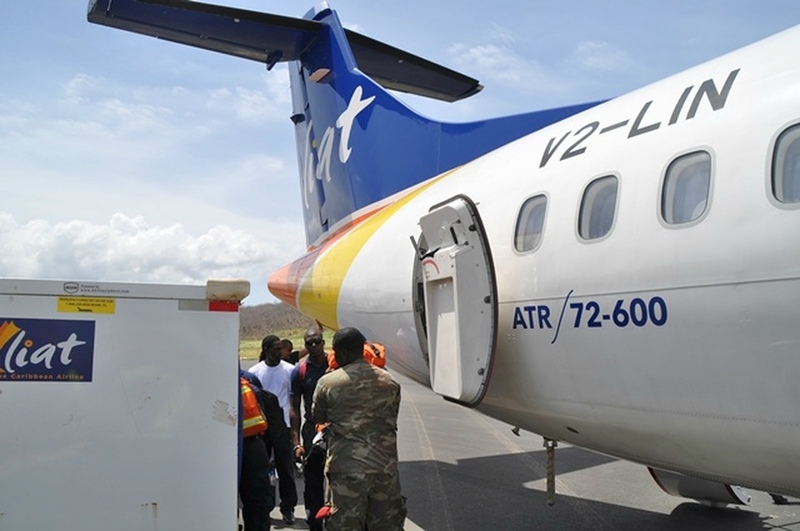 In urging the people of St Kitts and Nevis to help the citizens of St Kitts and Nevis impacted by those two hurricanes, Douglas noted that his St Kitts-Nevis Labour Party and the Office of the Leader of the Opposition have teamed up with a number of civic-minded persons and businesses to provide airlift and limited cargo services for its citizens living in St Maarten and are reaching out to the affected people in Dominica, the BVI, the USVI, Anguilla and other countries.